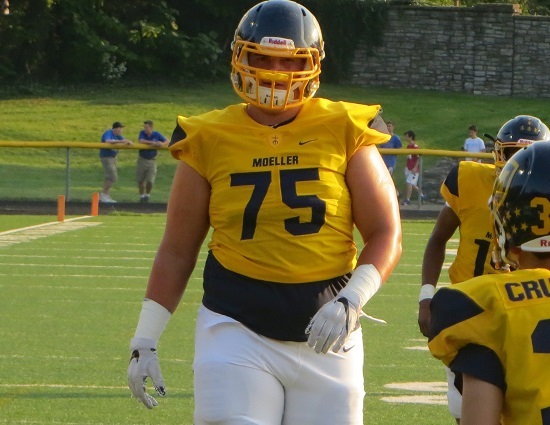 Six home games highlight the slate for Moeller in 2018. The Crusaders won’t hit the road until Week 4 at Lafayette (KY) the first of three in hostile environments. That will be the last of three straight battles versus the commonwealth of Kentucky. The gauntlet doesn’t get any easier after that for new head coach Doug Rosfeld and his squad. Moeller will rip right through its Greater Catholic league Schedule at St. Xavier, at La Salle and hosting Elder in weeks five through seven. The GCL South portion of the schedule is wrapped up by the first weekend in October. The final stretch will see the Crusaders play its fourth and final road game (all in the span of five weeks) at St. Ignatius. Then they close out the season with home tilts versus St. Edward and Division II state runner-up Winton Woods. FINAL TAKE: Like all GCL South schools, Big Moe doesn’t back down from a challenging schedule. Take out North Clarkson (Ontario, CAN) and the 2017 combined record of the other schools the Crusaders will face was 87-29, a .750% winning percentage. Seven of those nine schools won at least 10 games and had three losses or fewer. Four wins got Moeller into the playoffs last fall. Still their body of work had flaws, like going 0-3 in the GCL South with all three losses being by 14 points or more. The Crusaders wilted down the stretch, losing six of their last seven including five defeats of 21 points or more, after starting 3-1. Those seven foes are the same to end this season. The 2018 roster has a senior class that is a proven commodity led by Michigan-bound OL Zach Carpenter, WR RJ Khayo, QB Mitch McKenzie, DE Ryan Mullaney, DL Alex Merritt and LB Luke Szabados. Accomplishments aside, those are the guys who must realize there are several more steps to take to become a factor in November. That group of veteran returnees must set the example for the younger players to emulate. It will be done by showing grit and digging down deeper than they did a year ago. Out of necessity Big Moe needs to be mentally tough. The schedule provides the Crusaders with all the daunting opportunities to show what they are made of. There will be a new vibe for Moeller under Rosfeld. If the players take on his spirited persona it could be a thrilling ride this fall. Against this schedule, Rosfeld must get his team to brush off the letdowns (and there will be letdowns), get past setbacks and stay focused on the positives. All the things the Crusaders couldn’t master in ’17.